Moreover, there has been a series of violent attacks on pregnant women in the area, and Claudia becomes acutely aware of her vulnerability. With her husband out of town for work and her family far away, who will be there to protect her? And why does she feel unsettled about Zoe? Realizing appearances can be deceiving even in her seemingly perfect world, Claudia digs deeper into Zoe’s blurry past and begins to wonder – how far would someone go to have a child of her own? 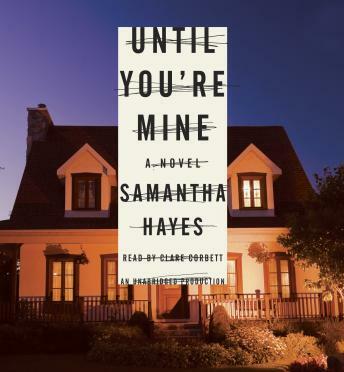 Riveting from its very first pages, Until You’re Mine is a multilayered masterwork of twisted, psychological suspense. Readers of Before I Go to Sleep and Turn of Mind will be enthralled by this multilayered novel, featuring a twisted plot that ends in a breathtaking and shocking finale. Good book. Surprise ending which I love! It's a little slow at times but I'm glad I stuck with it.